This entry was posted in Actors + Studio Pros and tagged ACX, audacity, audiobook, audiobook creation, Audiobook Creation Exchange, audiobook narration, audiobook production, audition, DAW, DAWs, digital audio workstation, garageband, make audiobooks, narrator, producer, production advice, protools, reaper, soundforge, studio gear, Studio Gear Series, wavelab. Bookmark the permalink. Our research shows that while it is still available on their site, Adobe is migrating all of their creative suites over to the Creative Cloud service. They will not release updates for CS6, but Adobe does claim that they will continue to provide support for those who have already purchased it. Excellent summary/eval for a frequently recurring question. I must, however, point out that the exclusion of Twisted Wave is a rather glaring omission. While I don’t use it myself (not a MAC guy), I have friends & associates who absolutely SWEAR by it. I’m just getting into audiobook production, and I have TwistedWave. It’s very powerful software, and it’s serving me well (so far). I’d like to see some reviews from some of the more experienced producers who may read this. Twisted Wave all the way for me! I use Cubase personally, although it’s not for everyone due to the learning curve. But its editing and mastering capabilities are without peer. I don’t understand why Twisted Wave doesn’t appear on this list. I recently transitioned from a PC running Sony SoundForge Audio Studio (which is a lot cheaper than Pro!) to an iMac using Twisted Wave ($70), and I LOVE it! Its preset default of automatically extending a selection to the zero point makes seamless, clickless editing a breeze, and its batch processing features combined with the ability to build and run a customized effects stack makes mastering your audio to ACX specs dead easy. I’m a happy convert! Hi Mary! I’m new to the audiobook world and I’m using Twisted Wave. Any advice as far as presets and archiving in the WAV format? Any step by step process to make sure everything is in the right format would be super helpful. Thanks! Twisted Wave should have been included on this list. The Shure PG 42 USB was rated VERY HIGHLY by other professionals ACX has used as a reference in the past. In fact it was singled out as the one of the best to get! Yes! I use it for all my recordings including audiobooks! TW in producing audio books? You can’t use punch in roll in Twisted Wave. Some people use Reaper for punch and roll recording of the audiobook and then do the editing in Twisted Wave. I personally don’t do punch and roll for my audiobooks. But I do use Twisted Wave for mastering my audiobooks too. It has some great features. I find it easy to edit the audiobooks in Twisted Wave. George Whittam has some Twisted Wave tutorials on his site – vostudiotech.com. He’s an awesome sound engineer and he can also design templates that you can import into Twisted Wave for mastering audio or sweetening auditions. I don’t use punch and roll much. Sometimes in editing I’ve found though that I just can’t edit out a problem so P&R have come in handy, but in one of my books with 10 chapters I’ve used it no more than a half dozen times. Nice to have but not a show stopper without it. I haven’t seen Twisted Wave but I’ll check it out. Everyone seems to have some good tools here. If it works, more power to us! Audacity is updating regularly and has plugins for rms and vst. I must mention these are not part of the tutorial about mastering seen here on acx. I also use Audacity for audiobook and vo work. Its most recent version,2.0.3, is terrific. And I master with it. IMHO, much more important is your mic and your room. I’ve had no complaints, and plenty of work. The DAW has practically nothing to do with your “sound.” The way you use the DAW has everything to do with it. I could record in Studio One, ProTools, and Audacity, and (providing that the settings are the same and the same gear is used) you would have virtually identical raw audio. You ability to use the DAW is the important part. I can deliver a pro quality audition with Studio One Free or Audacity. The sound QUALITY comes from your gear and WAY more importantly, your room treatment (which accounts for 80%-90% of your sound and sound quality)…not your DAW. I know plenty of working pro VOs who started (and some still use) with Audacity. This is not to say you can’t process audio more effectively in a better DAW, it just means that your raw audio will not be better if you buy Pro Tools. All the DAW does (initially) is capture the digital data sent from your interface. Let me just emphasize, your sound does NOT change based on the DAW you buy. Your ability to process changes…the tools you get changes….the workflow you can create changes…but your raw sound does not. My desire is not to argue with you Charles, but just to protect the newbie from buying software because they THINK it will make their sound better….ain’t gonna happen. Indeed. You are correct Eric re: “sound.”. I wasn’t as clear as I should have been. I meant that having the best DAW + equipment facilitates focus on the end result without stumbling and bumbling along the way to excellence in the end result. I learned that many years ago in – of all things – machine design. (First career was in mechanical engineering.) But bear in mind that the DAW algorithms can affect the overall product. At least that’s what the Presonus folks maintain. And friends of mine over at Universal Mastering. I have been using Audition 1.5 for … well EVER. Easy to use and quality is high (imho). No monthly fee. May not have all of the bells and whistles of newer versions…but nearly 90% of the voice work I do is simply that…Voice only. Focus on your read to improve your income. I actually run 3.0 for projects that require more than simple VO. Some of this information is a little out of date. Avid has replaced the Mbox with the FastTrack Solo. It costs around $150 and is still bundled with Pro Tools Express. (There is also a FastTrack Duo which costs more) And the current version of Pro Tools Express, includes comprehensive tools, for Noise reduction, limiters, compressors, and EQ. Omitting TwistedWave is a glaring omission. It’s simple, elegant in the Apple sense of that term, inexpensive but full of options for mastering and editing, and with superb support. Update: I now record with Ocenaudio (because of its punch & roll feature) but otherwise edit and process still with TwistedWave. I also make a backup file with a Tascom DR-05 to guard against any electronic glitches that can occur in long-form recording. Update: I now record using Ocenaudio (because of its punch & role feature) but still process and edit using TwistedWave. I also make a simultaneous backup using at Tascam DR-05, just in case an electronic glitch might happen while recording. Although I’ve been using Pro Tools for the last four years, I think it’s important to note that Garageband does in fact give you the ability to master your audio files and install plugins to do so. One of the included audio units (AU) with Garageband is a multiband compressor, which can also be used as a limiter if you know how to use the threshold and ratio (and other parameters) correctly. As well, VSTs and AUs can be installed and moved into a special file on a Mac in order to add freeware plugins to one’s collection. They aren’t necessarily going to be the best of quality or the most efficient in processing, but they can get the job done if it is something critical that Garageband’s stock plugins are missing. Of course, a program like Pro Tools will get you the best quality product but that’s still dependent on if you know what you’re doing. Generally, if you know how to use a DAW very well, there isn’t much that can stop you from making a great sounding project, regardless of what the DAW is. Myself i went with Steinberg’s Nuendo. IT is high priced but has all of cubase’s abilities (Need to get the NEK add-on) + ADR and other things. 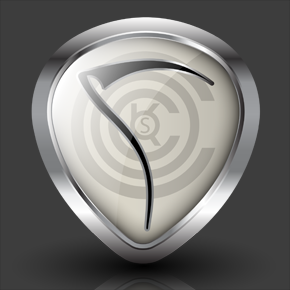 Yes learning curve is there but folks coming from cubase will feel right at home. Out of all the daw’s I’ve tried this one worked the way my brain did. Very fast and flexible! But not for newbies! 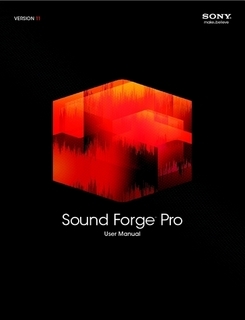 SOUND FORGE PRO 11 is what I use and I absolutely love it. I do tons of telephony, in addition to audiobooks and this program has the versatility to handle the demands of both. And version 11, which has recently come out, allows for easy Punch and Roll, too! So it’s easier than ever to do p&r or to go back and punch in and out for pickups. On the road with my iPad I use Twisted Wave which is about the easiest interface I’ve ever seen. Great for on-the-go. This was a really informative article. Thank you!! Could Twisted Wave be used for recording Audio Books? Anyone had any success purchasing a used/old copy of Audition (say, the CS5.5 version, or version 3.0)? Anyone know if older versions run on Windows 7? Most helpful article. Thank you. Reaper is fantastic. I also use Soundbooth (I’m hanging on to the CS5 edition) for the spectrum view – great for removing unwanted sounds and saving yourself a pick-up. I’ve tried a variety of plug-ins, and settled on two main ones, Isotope’s RX and Nectar. You only reviewed Sony Sound Forge Pro, and mentioned it’s expense. But you neglected to mention Sony Sound Forge Audio Studio, which only costs around 60 bucks and is fine for recording audiobboks, easy to learn and use. Adobe seems to keep a pretty tight lid on its past products. 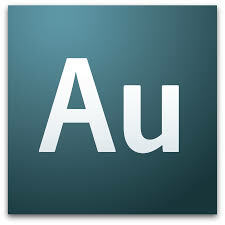 Anybody know where to get a cheap copy of Audition (CS5.5? Version 3.0)? Anyone know whether previous versions work on Windows 7? This is kind of interesting. I have heard no mention of Goldwave which I have been using for years. Anyone else use this product? Audition 3.0 for me, and I own it, and I don’t need plug-ins or updates, its all there! I’m confused by the info supplied, and the info missing. I use PT 10 with quick-punch enabled. Just fly through the script and back up if I need to, then drop in with 3. A secret very few people seem to know is that Adobe Audition 1.0 is compatible and runs on Windows 7 just fine. With the Diamond Waves plugins its basically all you need to do a very good job. Adobe is excellent for audiobook recording because you can do a “punch record” very easily. I do all my recording in Adobe, but do my editing in Minnetonka Software’s “FastEdit”. FastEdit is, in my opinion, the best digital editor on the market for straight editing. Its the first editor I learned to use when I was a radio reporter. I have never believed that Adobe Audition really got any better after 1.0. Verson 2.0 was a bloated piece of crap. I guess it got a little better with 3.0, but since 1.0 has always worked for me I’ve seen no reason to change. which doesn’t need a lot of plugins. I’m surprised (and disappointed) that you didn’t even mention M.O.T.U.’s Digital Performer… I’ve used it for years and couldn’t be happier with it. I’m just curious if there’s something DP lacks that makes it absent from your list. What am I missing? Anyone else use Amadeus Pro on your Mac? Your DAW has little to nothing to do with your sound quality. Your Mic, Room, and performance make all the difference in the world. Choose a DAW based on the interface and ease of use, especially for audiobooks and voiceover. Advanced DAWs lile ProTools, Logic, Cubase, and even Garageband are made for music production. Don’t get bogged down in features and tools you don’t need. Audacity has more basic capability then this post credits it with. I am using Audacity 2.0.3 and I can tell you that Hard Limiter, Compressor, and Noise Removal are included in the basic download from sorceforge.net. The Contrast tool under the Analyze menu measures rms of a selection. Audacity has a good support and discussion community. And besides the “open source” nature, it also includes a LISP programming language interface to the Nyquist function library, that allows one with a modest programming and math competence to write and drop in some effects, without the need to rebuild Audacity itself from source code. They won’t be as fast as built in features or VSTs could be, yet can still be labor savers. I have been experimenting with this to some advantage. For instance I am trying to develop my own de-esser that automatically identifies regions of sibilance and applies effects to them selectively. I use Twisted Wave, and I love it! So far I’ve done all of my audiobooks on there. It has a clean and simple design, and you can have audio engineers like George Whittam create templates to use for mastering. Audacity has a built macro generator where you can create and save “side chains” with any number of the built-in effects in the order you wish, and then with one click run it. Typical chains might include (1) noise removal (not just a gate), (2) EQ (3) truncate silence and finally, (4) normalize. This, plus it’s intuitive and fast editing. Plus of course it’s Free! Reaper with Waves debreather plugin is what I use. Since moving to this from Audacity about six months ago (and using a Contour ShuttleProV2 transport controller), I have become much more efficient. Also, it uses much less computer resources than almost any other DAW with maybe the exception of Audacity. It comes with a very good effects set… except in one respect. I wish that it had a declicker on par with Adobe Audition. Although I take steps to avoid mouth clicks, they still appear from time to time and I have to go in and edit them (volume envelope down or just delete). For the future (when I save up enough! ), I’m considering the Izotope RX3 advanced plugin since I’m hearing great things about it. By the way, I used to use Adobe Audition in a corporate setting. What is said about Adobe and their cloud is absolutely true. It’s more a “renting” the software rather than out-and-out buying a copy of it. Their taking the whole “licensing and upgrading the way we want you to” thing to the extreme. One of my friends, who is a web master, is deciding whether or not to continue with Adobe specifically because of this reason. Why is the limited version of ProTools being recommended? If you’re serious, ProTools 10, HD10, or the new 11. But not the limited or student editions. Ever. You simply can not skimp on the right gear if you want the work — and want the work to sound good. That’s just it Rich. 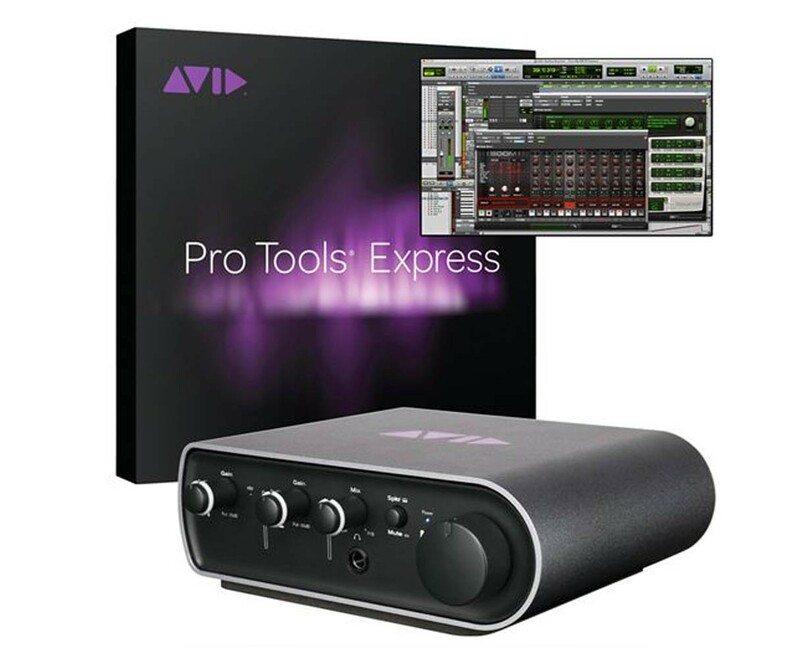 Pro Tools Express is the exact same recording engine of all the other flavors of Pro Tools and it was bundled for “free” with the Mbox Mini interface. I’m not skimping on quality at all. I only have a few less bells and whistles that I just don’t need for VO work. I can do everything I need to do. That’s the first time I’ve ever heard anyone say that any flavor of Pro Tools is skimping. To each his own. Pro tools Express most certainly IS skimping. most importantly Punch and Roll capabilities. Some editing tools are also missing. Pro Tools Express is working just fine for me. If you think it’s skimping that certainly your right to think it. Also I think the intent of the blog was for people to inform not recommend what they are using. I wasn’t recommending Pro Tools Express just stating what I use. I don’t have much of a budget to upgrade so I use what I can and still produce a quality recording. To record, I’ve been using a free windows app called “VSTHost” which has a basic built-in wave recorder plus the ability to patch in VST plug-in processors and configure/save the setups. Plenty of nice, FREE VST plugins are out there, too. I process the signal before I record so all my takes come out low noise, uniform in quality, level, EQ, etc. Like having a free channel-strip and recorder on my desktop. I edit using Audacity. For corrections, I re-record the fragments for an entire chapter as one wave file and then cut/paste into Audacity. Because the retakes are a perfect recording match for the originals, there are no issues with balance. Very fast. And, as I said, uniform – recordings from tonight match those made in the morning three weeks ago. Just thought I’d throw in my love for Twisted Wave. I’m surprised as much as the others that it wasn’t included in the list and definitely recommend it. I laughed aloud at the immediate dismissal of Garageband. I’ve recorded 4 books and 2,500 jobs, and a distinction between GB’s product and any listed high-end program cannot be made. As Eschybach stated, GB meets all the requirements of ACX’s production code. As mentioned by others here, a shiny, expensive program will not improve your sound. 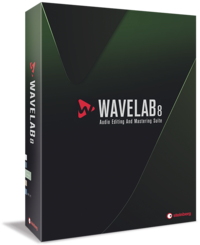 Using Wavelab to record a single vocal track is like using a lawn mower to trim your hair. If it’s not too much of a bother, would you mind expanding some more on how you use Garageband to master your books? I’m new to this side of things, so it would be a great help to know what other people’s successful setups are like. Most of your quality assurance can take place with a good preamp such as the palm-sized CEntrance MicPort Pro. Then when your GB project is ready to render, click Share > Export Song to Disk > then select ‘MP3 encoder,’ ‘Higher Quality’ and then Export. Your project will be rendered at 192 kbps and ready for delivery, no further mastering required. before purchasing all the other gear, recording software, pre amps, what is the quietest computer. i will need to have it in a small walk in closet home studio with me no? thanks for any advice! Unfortunately, between the small-diameter – high-revolution cooling fans and the hard drives… computer cpu’s are noise generators no matter what brand, make, or model. Even laptops are susceptible to this. Without spending a bunch of money, I would highly recommend keeping the computer cpu’s out of the booth with you. In my booth, I have the usual suspects (mic, pre-amp, interface, music stand, etc) with me. I also have the computer’s monitor and bluetooth keyboard/mouse combo. This allows me to have the cpu just outside the door of the booth where it can make as much noise as it needs. If you _must_ have the cpu in the closet with you, I recommend the following (some of this will probably require someone with a bit of inside-the-computer experience). You can replace the cpu and case fans for “quiet” fans. Noctua is a brand highly recommended. Replace your usual hard drive(s) with solid-state drives (SSD). Normal hard drives have mechanical parts which makes noise almost as load as the fans. SSD’s have no such parts; therefore, they are virtually silent. Get a line conditioner. This cuts down the potential of hum in the electric line going to your computer. Plug everything except your printer into it. Furman makes one for around $60. Hope all this helps: all the best! Amy there are a few different “sound-proofing” cases out there, which will allow you to use just about any desktop computer in your control room. I use quotes because of course they’re not entirely sound-proof, but they do offer a marked improvement. It’s been awhile since I shopped them but I seem to recall that you could get a decent one for about $99. The MacBook Air has no moving parts other than the fan, which will not engage even in a lengthy book recording session. If you can’t afford one, keep in mind that any laptop’s fan engagement can be delayed by freezing a gelpack (icepack), wrapping it in a thin cloth, and placing it underneath the laptop as you record. Be certain that no moisture contacts the base of the laptop while the gelpack melts. Lol about 5 years late but hear is my 2 cents. I’ve used a few different DAWs; my current (and favorite thusfar) is Steinberg’s Nuendo. I’ve done everything from audiobooks to music projects to full blown 5.1 film mixes, and it’s pretty robust and consistent. And forgive me if this has been covered already, but I think the biggest factor in DAWs is comfort level. Most have access to VST and a variety of on board plug-ins, and while there are subtle differences in sound quality, I contend that you can do amazing work with any of the programs listed above if you’re comfortable with the interface, and your front end (voice, mic, preamp and/or audio interface) are the highest possible quality. I’ve also had extensive hours in on Sound Forge; for basic two track editing it’s great, and they make a “light” version that runs for about $69. I love Sony Sound Forge Pro 11. The new features added are punch and roll recording, iZotope Nectar Elements, along with iZotope noise reduction, click reduction, de clipping and the iZotope Mastering suite. This includes all the Sony tools as well. An upgrade fro 10 was less than $200. I just find it to be the most powerful editor out there, and yes I have Pro Tools, Audacity, Reaper and have used Audition. Twisted Wave for Mac is good, (I use both PC and Mac) to me Garage Band is more of a toy. Have to join the “in defense of” GB voices. Have used it forever for all my audio work, including audiobooks – no complaints yet. Also, as Eschybach noted, if you explore, there are more sophisticated ways of using the GB tools at hand. Also added some Izotope some time back as added garnish to the final pass. I also find that if you preset your levels to what is a proper balance for you – the final mix should be a no-brainer. I started out using Sound Forge Audio Studio which is an excellent DAW, however there is serious limitations if you need to punch and roll – which I require for audiobooks. I branched to Sound Forge Pro (I really like that DAW) but when I trialled Adobe Audition I loved it on my Mac especially the frequency graph which is a fantastic resource when editing and mastering. There was a compatibility issue when doing some books for Audible but that was quickly and easily resolved. I own my copy of Audition – not sure how I comfortable I’d be with just having a licence that I’d have to renew monthly. Chip is absolutely on target! GB does everything required for first class delivery. Very few cons for Audacity — it’s as useful and customizable as you need it to be. One of its few (unmentioned) downsides is — no audio scrubbing. You have to stop the playhead before you perform any action. Those mouse clicks are precious time wasted, especially when multiplied by the thousand for an every audiobook edit. Starting with Garage Band, anything would seem good, I imagine, but i am thrilled at my update to Logic 9. They’re practically giving away Logic 9 now because they’ve just come out with logic 10 (that will allow you to take over small countries) Logic 9 works quickly, smoothly and easily. All good words for me. I would include Reason over Wavelab and SoundForge unless they are both multitrackers in their new versions. SF10 was just a wav editor and the last version of Wavelab was the same, just a wav editor, not a DAW. Cubase is what I would have included from Steinberg. I find Reaper to be very easy to use, as well. But here at my place, Reason is king. I use Pro Tools Express with Mbox Mini and got a great deal on it at Sweetwater, I think for around $230. It’s not the easiest to learn and it’s true, the plugins are limited, but for audio book narration I feel like I have what I need. I use compressor, EQ, Expander, and there is an inexpensive limiter from Massey called the L2007 that’s (free to download for indefinite use) and simple to use. Even with the challenge of learning Pro Tools there are so many You Tube how-to videos to view. Even if I watch one for a particular subject, I’m always finding new things just by watching key-clicks and other procedures that aren’t specifically part of the subject matter. BTW, Adobe Audition IS on a monthly rate now through the “Cloud.” Not my cup of tea even though Audition is a great program. Adobe might have shot themselves in the foot on this licensing plan. I’m a fan of Adobe Creative Cloud, because I use lots of its other services as well. For anyone in web design, it’s great because everything is always updated to the latest software versions. Honestly, though, if I didn’t use the other programs too, it wouldn’t be worth using Adobe Audition. Audition and PT use base given a proper demo portal for comparison. otherwise seeking developers who have the vision to replicate it. Was Bias Peak produced only for Mac? I record on Audacity through a Blu USB mic right onto my Macbook pro. I speak into a cardboard box lined with Auralex foam. Then I edit in Audacity except for the Noise Cleaning, for which I use Goldwave (PC only, so I edit on my PC) So far, I know I sound like I just crawled out of a cave but there you have it. I find the linear and simple look of Audacity very freeing and fast. And that Goldwave can’t be beat, as it filters noise but leaves behind good, clean breaths. Also Goldwaves Compressor/Expander function does a great job of “killing” all the mini sounds in the spaces between breaths. I’m on my 5th book. It’s taken me a while to get it right but I think I have a pretty good workflow. Next, I want to purchase a toggle wheel…I forget what it’s called…where you can program the buttons next to it to stop and start your record remotely & quickly. Because, right now, I don’t punch in, I straight record. The cardboard box set-up in in a soundproofed room, I need to add. I literally crawl under a rock to record, as my technology might indicate. Actually, just set up my iPad (not the one I’m reading on, but a second one) with VNC screen-controller (MochaLite, a free App) so I can remotely punch in on my laptop. Though I’m still not committed to teh idea of the punch roll, but at least now I have the option. And I can keep the laptop in another room! i love to use Record For All. It is easy to learn and works great. Does anyone know of a way to “batch bounce” several Pro Tools audio files files to wav automatically, or in another program to batch bounce wav files to mp3? By the way in an earlier post someone said that punch an roll can’t be done in PT Express. Yes it can be done as well as quick punch. They are both native features of Express. Mark, you can certainly batch convert wav files to MP3 in Audacity. If you set up a chain (File > Edit Chains) to Export to MP3, you can then apply that chain to as many wav files as you want: File > Apply Chains > Select Chain > Apply to Files…, then select whichever files need converting. Respond if you want explicit instructions. Regarding Reaper, you can in fact set it up to show ONLY the edit window, by unchecking “Docker” from the “View” pull-down menu. I will say, yes, Reaper can be daunting to a DAW beginner…very customizable, very intricate. But if you get the hang of it, it is an immensely powerful audio editing tool. Fast workflow, and very light on your computer’s resources. As this author said, there is a large support community dedicated to Reaper, as well as free PDF manuals. As an audio engineer, I have tried a few different DAWs, including the “studio standard” Pro Tools. Reaper has been far better for my needs (audio editing, mixing, and mastering) than any other to date. Time is money, and the faster you can get your project done, the faster you can move on to other work. I have to agree hear! Reaper had blown me off my feet. But starting with audacity anything would be good. I did however don’t he trials of many types of DAWs and reaper is the best. I’m a fan of Wavepad because it’s simple to use and it has everything I need – but for one thing. Something to give my voice that extra wow factor for voiceovers, To add richness. (love presets!) And it needs to be compatible with WavePad. Cool Edit 2000 used to have them but they are obsolete.. Twisted Wave is and will always be my DAW choice! They never acknowledge Twisted Wave which happens to be the best DAW out there! I realize this is a somewhat outdated post, but I’ve got to put in a huge plug for REAPER. To be fair to the author, it has grown tremendously since this was written and continues to add features at an alarmingly rapid rate. What is not mentioned is that for your $60, you get the current version (now 5.28), plus all the next version. In other words, if you buy it now, you get version 5 through version 6.99. And these “updates” are not just bug fixes. They are constantly adding more functionality, and it is already the most powerful of all the DAWs mentioned here. With the ability to customize literally every aspect of the DAW right down to the menu items, you can set it up to work exactly how you want it. There are several websites dedicated to showing how to set the interface up to be optimized for audiobook tracking, editing, and mastering. It has a broad range of plugin support, it the most efficient out of all of these DAWs as far as RAM and CPU usage. And, with the SWS Extension set, you can set up complex sets of actions and assign them to a key command. The money you save on the license goes a long way toward getting you iZotope’s Nectar2 plugin bundle, which is a set of tools specifically designed for dialog processing all in one FX window. Throw in iZotope’s Neutron, RX5, and Ozone Advanced bundle, and you have everything you need to get the best mastering tool for dialog you could ever want. REAPER is so lightweight, and iZotope’s tools so powerful, that a perfectly silent MacBook Air, a Rhode NT1-A anniversary bundle, and a closet with a bit of sonic treatment will give you a finished sound that is indistinguishable from work done in a world class studio with hardware costing $1000s more. And once REAPER is setup to accommodate your workflow, you can fly through the editing and mastering process at about twice the speed of any of these other DAWs. Save your money on the DAW and hardware and spend it on the iZotope plugins, and you will be amazed. Any question you present to the REAPER community will be answered in minutes if it has not already been addressed on the forum, and there is just no way to express how much its flexibility speeds up your workflow. I’ve worked with just about every DAW available for the Mac (Audacity is not even proper DAW and has no place on this page), and the best way I can describe REAPER in comparison to them is to say it is a revolution in software design. Even without anything other than the powerful plugins that come free with it, you can produce amazing products. And, while it does not have batch processing per se, it can be automated to do whatever you need done so fast that it doesn’t matter. I don’t work for Cockos, and have no affiliation with them whatsoever. They simply make the best DAW on this list by far. You should add Cubase to the list as an alternative to ProTools. Although not cheap, it comes with everything needed out of the box including powerful mastering plugins, punch in points and loudness metering – essential for mastering for many platforms. It is also very quick to edit on. Ok so my 2 cents is that don’t go for audacity, I am in no way an expert I did one book with audacity and I do not recommend it. And to all, you twisted wave fans its just audacity in a new skin. I am using reaper and like it so far, harder to get used to but I think I can do a lot with it. Audacity in a new skin? No way! Out there both in simplicity and performance bar none. One note on Reaper. Do remember, that if you are using it commercially and you are earning more than 20,000 (I think) a year, then you should be paying for the commercial licence and NOT the cheap personal licence. That makes it similar in price to things like Cubase Artist and one of the Studio Ones (possibly also called artist – I forget!). Also, if you are editing correctly, you should not be using something with destructive record, like Audacity or Audition in non-multitrack mode. The multi-track DAWS like Cubase, Studio One and Reaper layer the audio, which means you can pick your edit points, including which breath when you tidy up your punch-ins. Remember, if you are self-recording, you must check every second of your audio, and especially all your punch-in points. And they are direct to disk, which is safer.